This place is charming and cozy. 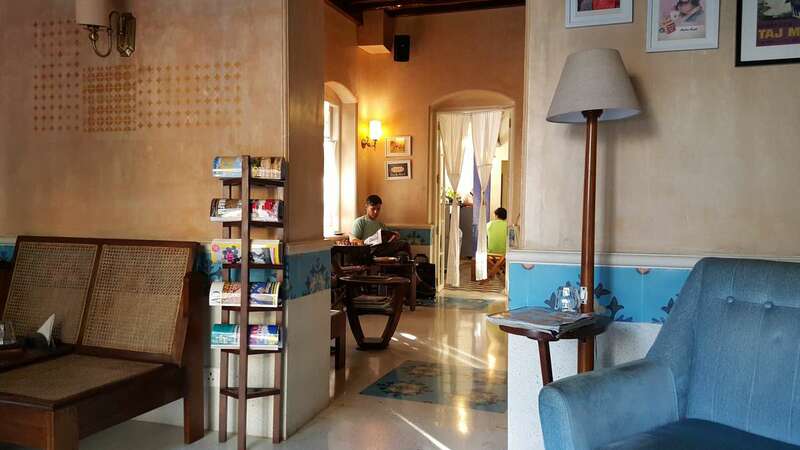 Nestled in a quiet by-lane in Bandra, Yoga House is a peaceful haven. 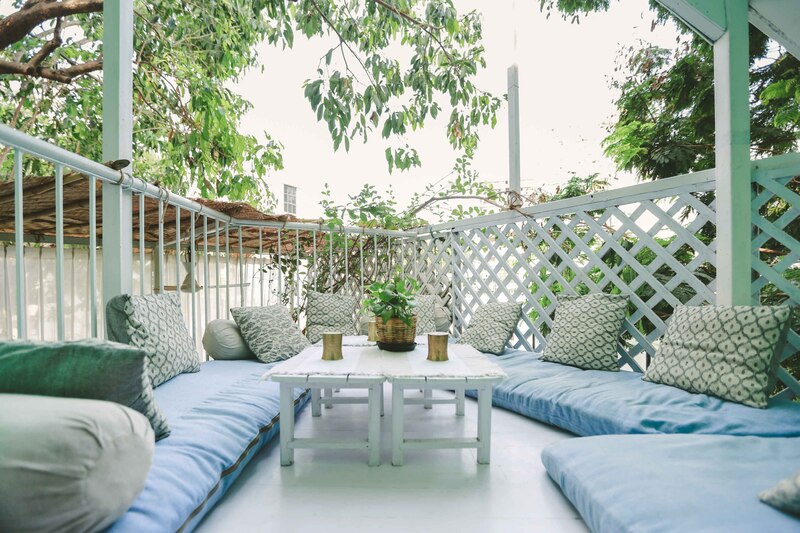 In muted, pastel hues of blue, green and white, the three-storey bungalow is a beautiful manifestation of the city’s oceanic vibe. Offering much more than food and beverage, Yoga House is a holistic wellness space. With daily yoga classes, earthy copper cutlery and jaggery instead of sugar, the place almost offers a sort of spiritual discovery. The menu is dotted with healthy options such as the ‘I am slimming salad’ and ‘The booster juice.’ The brown paella rice, raw vegetable basket and carrot cake are the winners. Try to sit on the terrace balcony, and you are set for the day. With its lovely French doors and classy porcelain-themed interiors, Taj Mahal Tea House is an absolute delight. This tea house is a place to cuddle up on one of the chairs with a hot cup. Books are stacked in one corner; a sitar adorns one of the walls, and soulful classical music plays in the background. The food menu is thoughtfully crafted to match the variety of tea flavors. The place has a certain magic to it, and it will surely make you want to come back for more. Situated on the narrow, winding Chapel Road, Birdsong is bursting with creativity just like the street art that fills up the alley. The quaint cafe belongs there – it speaks the same language as the rustic old lane. The cafe has a retro character to it, with wooden tabletops and metal chairs, bare brick walls and incandescent bulbs hanging from the ceiling. The organic cafe boldly states ‘nothing refined used in the kitchen’ on its menu. The food is seasonal and delicious with lots of gluten-free and vegan options. If you are in the mood to find the inner artist in you, head to Birdsong. You can never outgrow this beautiful hideout. It features a peaceful and laid-back setting – whether you are grabbing a cream cheese bagel for breakfast, a friendly brunch or relaxing in the evenings. 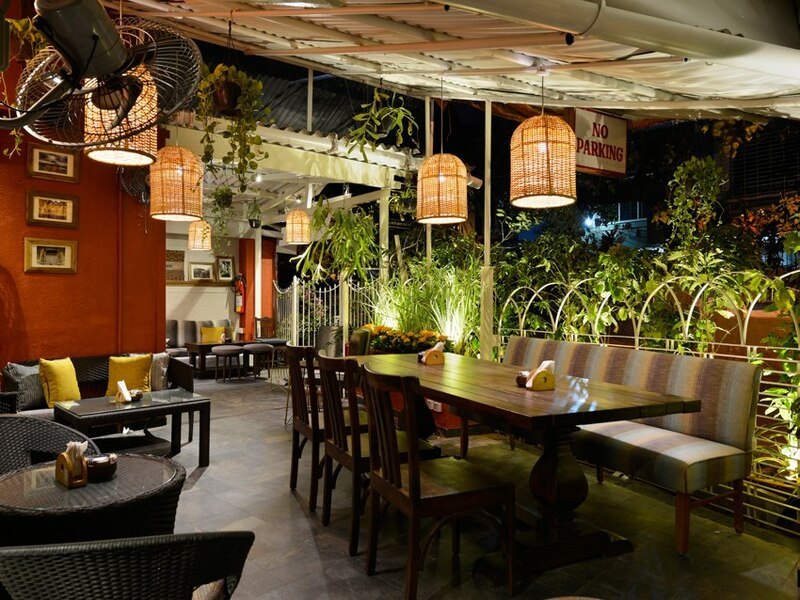 It has the options of open-air seating and an indoor section as well. However, The Bagel Shop is truly what it is because of its bagels. Go there and relish the wide assortment it has to offer. This charming little suburban cafe might not have much in the way of space, but what it lacks in roominess, it far makes up for in delicious food. A perfect place to start your day, Suzette has tasty options – try the Nutella crepes and hot chocolate. There is usually a wait for a table, but it’s worth it. From Paris, with love.